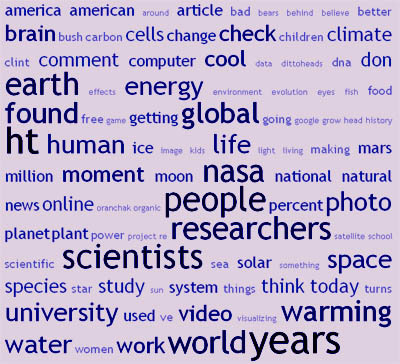 CNN making the boneheaded decision to dump its science unit, the Origin of Blue Eyes fitting another interesting piece of the human origins puzzle into place, and “Dwarf Planets” becoming “Plutoids” earn an honorable mention for science news in 2008, and the Large Hadron Collider will make next year’s top 10 list, when it starts working properly. 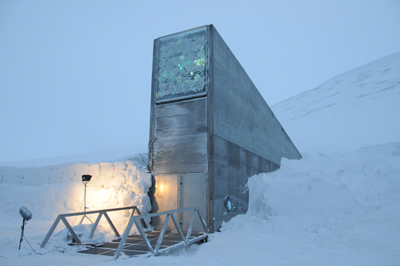 The Svalbard Seed Vault in Longyearbyen, Norway went into deep freeze, preserving the world’s seed collections against any number of threats, from Global Warming to regional environmental damage. The vault is a monument to prescient thinking, an Ark for weathering our current environmental storms. Once numbered at less than 100,000, a recent census found 125,000 western lowland gorillas found living in the Republic of Congo. Although still listed as “critically endangered,” the numbers show that conservation efforts do work, and that similar actions must be taken for other primates around the world. The Interior Department officially listed the polar bear as a threatened species, acknowledging melting sea ice as the culprit, but without taking any position on Global Warming. 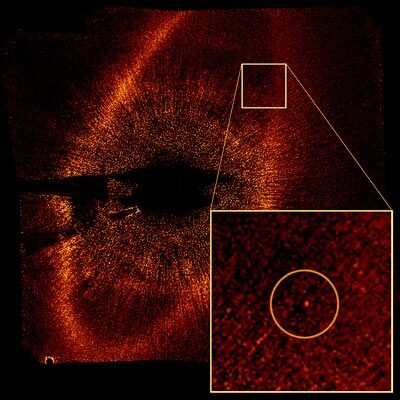 The first Photo of an Exoplanet was confirmed from two photographs taken by the Hubble Space telescope in 2004 and 2006, a Jupiter-mass object that orbits the star Fomalhaut every 872 years. Closer to home an Electron was filmed for the first time, riding on a light wave after being pulled away from an atom. The Genetic Information Nondiscrimination Act (GINA) was signed into law, which bars discriminating against people based on their genetic information concerning health insurance and employment. 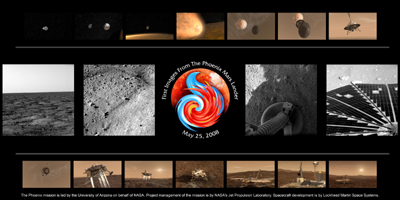 The Phoenix Lander proved conclusively the existence of water on Mars, and kept us on the edge of our seats with its electrical problems and issues getting soil samples into its ovens for analysis. Craig Venter’s organization synthesized an entire bacterial genome from scratch, the second of three steps toward JCVI’s goal of creating a fully synthetic organism. Working models and computer simulations of the Antikythera device revealed the Greeks were using a very sophisticated astronomical calculator, which was also capable of predicting eclipses and the Olympic Games 2,100 years ago. My personal favorite development for this year was Science Debate 2008, which successfully got the presidential candidates Barack Obama and John McCain to answer questions about science, and, even more amazingly, brought the scientific community together into its most effective lobby, which is like herding cats. It does! So does the star V838 Monocerotis. Firefox is written in the stars!